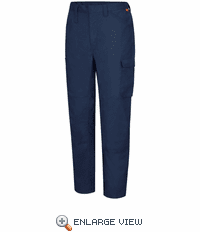 One-piece waistband with concealed button closure › Two scoop front pockets, concealed pocket on right pocket bag › Two hip patch pockets › Full crotch gusset › Utility loop extension on front belt loop › Cargo pocket with snap closures on left leg › Double utility pocket on right leg › Double articulated knees. Protection: Arc Rating ATPV 9.0 calories/cm2. 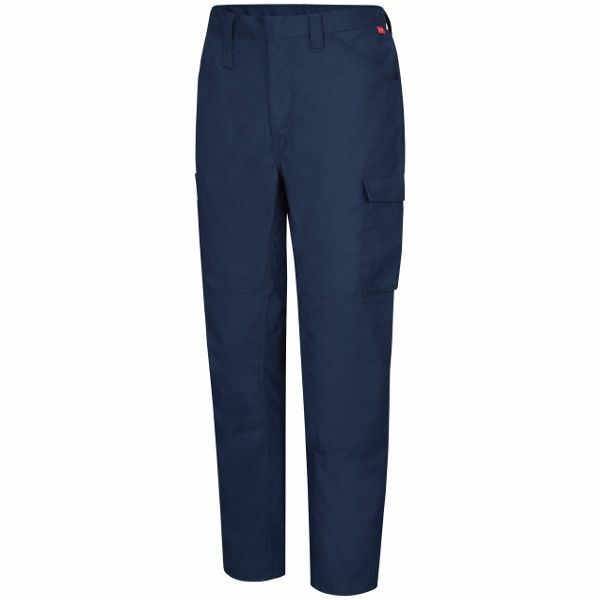 Fabric:Ripstop Flame-resistant, 6.9oz (235g/m²) 65% Cotton/35% Polyester. One-piece waistband with concealed button closure. Two scoop front pockets, concealed pocket on right pocket bag, two patch hip pockets. Utility loop extension on front belt loop. 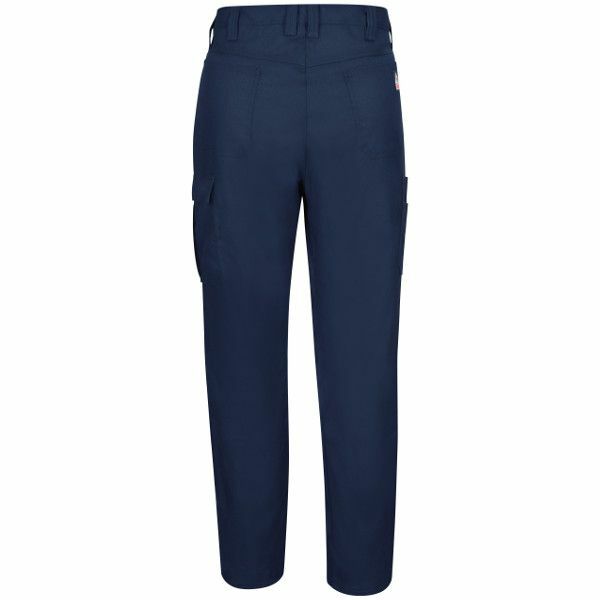 Cargo pocket with snap closures on left leg. Double utility pocket on right leg.